In Soft Wings is the brand new and exclusive work from Hugh Salmon. An incredible piece of writing put together during Hugh’s recovery following back surgery, when he discovered the fascinating story of two young rivals from Balliol College, Oxford. The Hon. 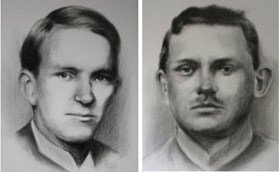 Billy Grenfell (Nikolas Salmon) and Keith Rae (Edward Tidy) were wrapped up in a feud during the start of The First World War, and failed to form a friendship until forced, and too late. Keith, educated at home in Liverpool, known as a ‘pleb’, and aristocratic boy Billy with no appreciation for his privileged lifestyle, both attended and left the same college within a short space of time of each other. Their different values and goals in life created the rift between them which within Balliol caused distress to not only them but to their fellow peers, resulting in Keith being talked out of pressing charges against a raging Billy. Set in 1910, Salmon quickly builds the lives and relationships around the period. Billy and Julian are just one example of love and care, even more so that they also have ‘brotherly’ love. The conclusion of the feud between the two students was linked to Billy grieving following the death of his brother Julian. The performances of Edward Tidy and Emily Arden (Maid/Perkins) stood out. They both showed love and care within each of their characters. In my eyes, the scene between Keith and Perkins at the football match was the scene of the production. This one-off production took us back 100 years to the day that both men died. On the centenary of their death, we gathered inside the Tristan Bates Theatre, a small performing studio that collected an atmosphere of heartbreak, shock and grief and reminded us, that we will never forget. I feel honoured to have seen this production and I hope that it will be performed again soon. The true story of two Oxford students, Keith Rae and Hon. Billy Grenfell, who fought a bitter and famous feud at Balliol College but died alongside each other in the same battle on the same day (30th July 1915). 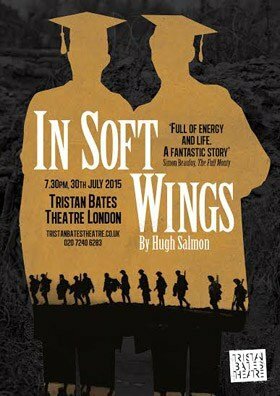 The new play ‘In Soft Wings’ was performed for the first time at the Tristan Bates Theatre on 30th July 2015, the centenary of the deaths of Keith Rae and Hon. Billy Grenfell. Set in 1910, 1912 and 1915 at Taplow Court, Balliol College and Hooge, near Ypres.